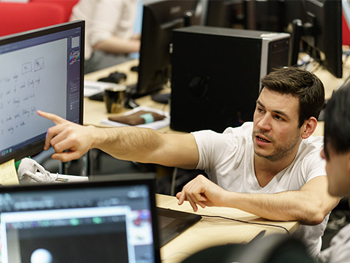 If you want a career in the games industry, but need that extra bit of experience, come along to our Gamer Camp Open Day and learn about our three awesome video games postgraduate courses, Gamer Camp: Pro (art), Gamer Camp: Pro (code) and Gamer Camp: Biz (design, production and business). Gamer Camp: Pro (MA/MSc in Video Games Development) and Gamer Camp: Biz (MSc in Video Game Enterprise and Production) have both been developed by Birmingham City University in collaboration with Sony, Codemasters, Freestyle Games and Rare to prepare the most promising art, programming and production talent for the video games industry. Coming on Gamer Camp is the considered to be your first year in the video games industry. Opportunity for visitors to talk to Programme Leaders and Postgraduate students on an 1-2-1 basis to ask individual questions about the course and university (P131). The event also gives you the opportunity to play some of the games we've developed. We've just released these games on iOS and PlayStation 3.